This book is an English translation of Ahkam-i-Mayyit, and is a necessary hand book for Muslims explaining rules pertaining to the deceased. This book is the English translation of Ahkam-i-Mayyit of Dr. Abdul Hai Arifi, a world renowned highly respected spiritual master in this part of the world. This is a necessary book for Muslims. It contains indispensable rules and basic information about the teaching of the Holy Prophet when death approaches near, when it takes place and what to be done after death. 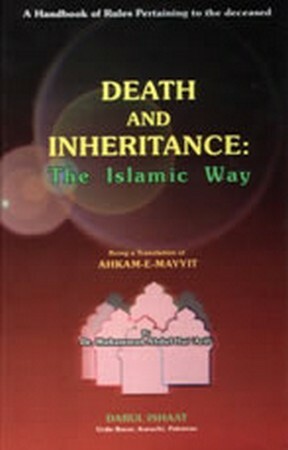 Rules for distribution of inheritance of the deceased according to Islamic Shari is also comprehensively added. Fair presentation in simple and comprehensive language is the special feature of this book.